Sergio was born and bred in sunny Malaga, a destination for millions of tourists every year, but instead of going to the beach to get a tan, he embraced his paleness and grabbed a pencil never to let it go. The obvious step for him was being academically trained in the arts and so he did, studying Fine Arts in his home town where he soon earned a reputation for his already high drawing skills. He graduated in 2011 and moved to London attracted by the huge culture and art the city had to offer, where he focused on illustration, comic and animation while working as a waiter until his art would let him pay the bills, a very difficult thing in the ruthless jungle the illustration field is. 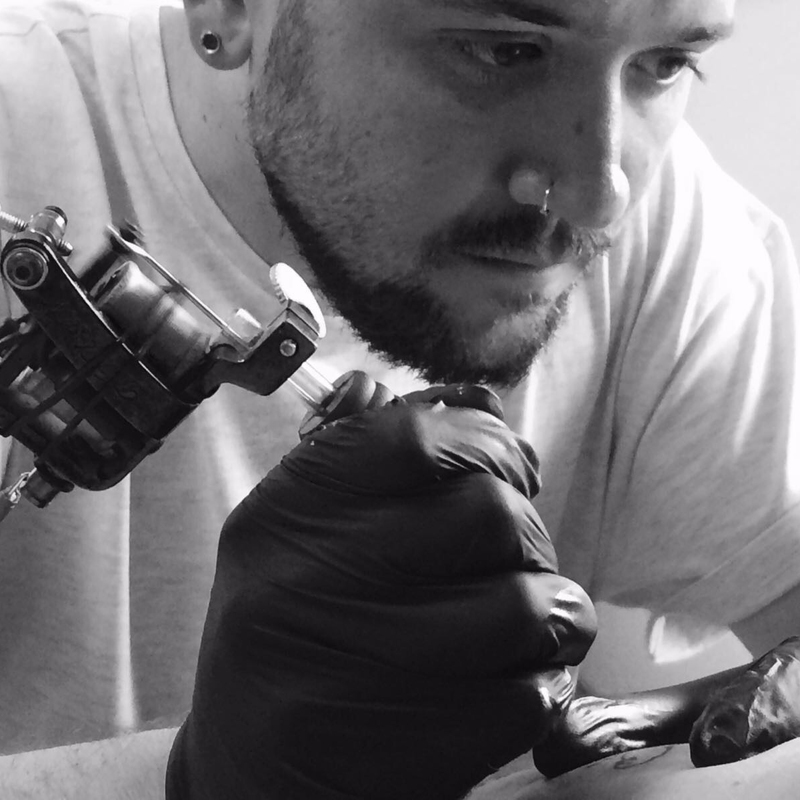 He discovered tattooing a couple years after and absolutely fell in love with it, knowing it was going to be what he would do for the rest of his life. Covering a wide range of styles, his main challenge was keeping the sketchy rough lines he drew on paper as genuine as possible when they are transferred to the skin, and progressively his style adapted to the needs of tattooing making it unique and recognisable. Since he joined Prophecy he has widened his skills thanks to the experienced artists supporting him and found a place where he can express himself, creatively and personally wise, as well as enlightening everyone with his exquisite music taste -he said, some won’t agree-. He’s looks forward to making everyone who comes in the studio leave with a smile and a great memory, a memory as good as the piece of art they’ll carry with them for the rest of their lives.